2015 Chevrolet Trax Small SUV. This entry was posted in Compact and tagged 2015, Chevrolet, small, Trax on October 3, 2014 by Sam. This entry was posted in Midsize and tagged 2014, Auto, Beijing, China, from, highlights, Nissan on October 3, 2014 by Sam. 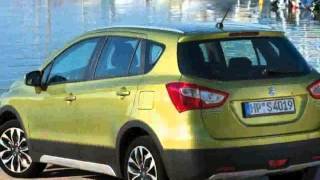 This entry was posted in Compact and tagged 2015, Manual, SCross, Suzuki on October 3, 2014 by Sam.